Modular Office Workstation Designing, Modular Workstation Design Service Providers, Contractors, Decorators in India. Backed by a team of highly experienced professionals, we are offering a broad assortment of Office Workstation Designing Service Delhi/NCR to our customers. These services are rendered with following industry standards. we make a all types of office workstation desining services , office furnitures and office interior works our company manufacturing prodict only. Owing to the rich industry experience, we are able to render Modular Workstation Designing Service. 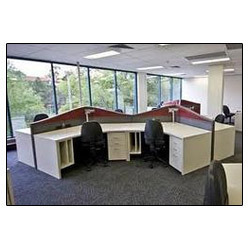 We provide all kinds of Designs of Modular office workstation in Delhi NCR. We provide the all kinds of office interior Design as per client's requirements. 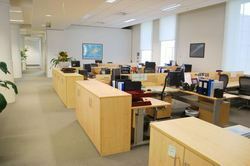 We specialize in providing Office Workstations Fabrication services to our corporate clients. Our team works in close coordination with our clients and provides them with appealing designs and attractive patterns for their work place. We also use innovative styles, creative ideas and advanced methodologies while executing these services. We are one of the prominent names engaged in offering our clients with Modular Workstations. Designed as per the latest trends, these workstations support the working environment of any office. Office Workstation Interior Designing Service is provided by us to patrons according to their requirements. We are presenting services of Computer Workstation Designing. Our designers are proficient in designing these workstations as per the need and requirements of the clients. We are offering Office Workstations Designing Services to our clients. We have been counted amongst the most trusted names in this domain, engaged in providing Office Interior Designing Service. Our company has gained prominence in the providing Modular Workstation Service. Modern technology and supreme raw material is used in the execution of these services by our highly experienced experts. Work stations are offered by us in variegated sizes, colors and styles as per customer choices.